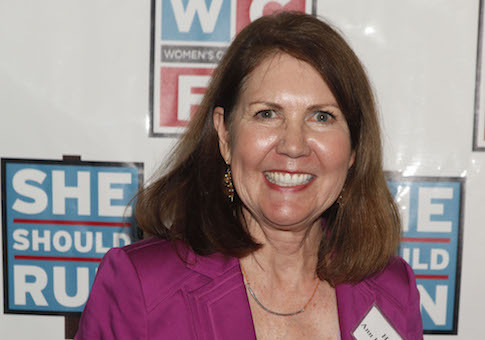 A lawsuit seeking to remove Arizona Democrat Ann Kirkpatrick's name from the ballot this November could stymie the former congresswoman's attempt to run for the House again. Kirkpatrick represented Arizona's first congressional district beginning in 2009, but was voted out of office in the 2010 Republican wave election. She won back her seat in 2012 and 2014, but then decided to forgo reelection to challenge John McCain unsuccessfully in the 2016 Senate race. Now Kirkpatrick aims to return to Congress, this time in Arizona's neighboring second district. But a lawsuit from three voters bankrolled by her primary opponent, Matt Heinz, claims she gave false information to election officials about her place of residency. The litigants claim that while Kirkpatrick wrote that she lived in a Tucson home in her election petitions, she actually lives in a condo in Phoenix. There is nothing legally disqualifying her from running in a district in which she does not live—the Constitution requires only that candidates live in the same state—but the voters argue an incorrect filing with false information should see her taken off the ballot. Kirkpatrick admitted in court Monday that she does not pay rent at one of two Tucson addresses where she says she has lived, according to the Arizona Daily Star. The opposing attorney also got Kirkpatrick to admit that she insures her property at her Flagstaff and Phoenix addresses, but not the Tucson ones. At one point, Kirkpatrick was even asked about the amount of clothing she kept in Tucson. "There aren't a lot of clothes in this picture," attorney David Weatherwax said, showing her a picture of her closet taken by a friend. "I don't wear a lot of clothes," she responded. Kirkpatrick's lawyer, Daniel Arellano, countered that none of that was definitive proof that Kirkpatrick did not reside in Tucson. He argued that even if it is proven that she did not reside at the apartment, that still would not be grounds to remove her name from the ballot. This entry was posted in Politics and tagged 2018 Election, Arizona, Lawsuit. Bookmark the permalink.